PADUCAH-Norma (Hassell) Grace, 88, of Paducah passed away at 2:14 PM on Monday, April 15, 2019 at Baptist Health of Paducah surrounded by her family. She is survived by her four sons, Curtis A. Grace of Paducah, Jay (Page) Grace of Smithland, Tim Grace of Smithland, Bryan (Robin) Grace of Paducah; one brother, Johnny (Martha Faye) Hassell of Calvert City; 7 grandchildren, Farrah Grace-Stewart, Jayson Grace, Corey Grace, Rebecca Grace Wyatt, Jilanna Gorline, Haley Grace, Leah Bennett; 20 great grandchildren; one great great grandchild; several nieces and nephews. She was preceded in death by her parents, William Bryan Hassell and Mary Louise (Philley) Hassell; husband, Curtis Lee Grace; one great grandchild, Waylin Grace; 1 half-brother; 1 half-sister. Funeral services will be held at 1:00 PM on Friday, April 19, 2019 at Hughes Funeral Home of Paducah with Rev. Charles Uhlik officiating. Burial will follow at Oak Grove Cemetery in Paducah. Visitation will be held from 11:00 AM to 1:00 PM on Friday at the funeral home. Expressions of sympathy may take the form of contributions made to McCracken County Humane Society, 4000 Coleman Road, Paducah, KY 42001. MELBER-Sam Davidson age 90, of Melber, KY passed away at 2:33 p.m. Tuesday, April 16, 2019 at Baptist Health Paducah. Sam was a native of Arkansas and a member of Bethel Holiness Church. He owned Davidson's Construction and was a retired homebuilder. He was veteran of U.S. Army. He is survived by his wife of 72 years, Lois Davidson; two daughters, Rose (A.C.) Noel of Melber, KY, Meriel (James) Fulcher of Hickory, KY; two sons, Ronald (Vanda) Davidson of Melber, KY and Monte (Gina) Davidson of Mayfield, KY; two sisters, Verna Baber and Evelyn McClure both of Sallisaw, OK; one brother, Randy (Bonnie) Davidson of Rogers, AR; 17 grandchildren; 30 great-grandchildren and 3 great-great grandchildren; several nieces and nephews. Preceding in death was one daughter, Cheryl Shropshire; parents, Meddie Roy Davidson & Beulah Wilson Davidson; one sister, Mary Armstrong. Funeral services will held at 2:00 p.m. Friday, April 19, 2019 at Bethel Holiness Church in Melber, KY with Brother Dathan Guthrie and various ministers and speakers officiating. Burial will follow at Bethel Holiness Cemetery. Visitation will be held from 11:00 a.m. until service time of 2:00 p. m. at the Bethel Holiness Church. Expression of sympathy may be made to the charity of your choice. PADUCAH-Mary Anne Brantley, age 77, of Paducah passed away at 4:23 a.m. Tuesday, April 16, 2019 at Superior Care Home. Mary Ann is survived by her husband of 57 years, Robert L. Brantley; two daughters, Robin Lynn (Steven) Creekmur of TX and Shari Anne (Brandon) Gentry of TN; one son, Robert Mark Brantley of Il; one sister, Doris Coleman of N.C.; five grandchildren, Logan (Hannah) Creekmur, Jordan Creekmur, Brittany Gentry and fiance' Connor Meyers, Tyler Gentry and Dustin Gentry. She was preceded in death by her parents, Arthur Raymond Jones & Mary Ellen Cameron Jones. Funeral services will be held at1:00 p.m. Friday, April 19, 2019 at Milner & Orr Funeral Home in Paducah, with Revs. Tommy Tucker and Jim Ewing officiating. Burial will follow at Mt. Kenton Cemetery. Visitation will begin at 11:00 a.m. Friday at the funeral home. 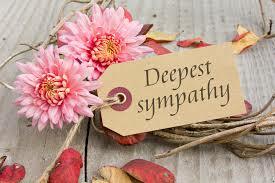 Expression of sympathy may be made to First Baptist Church of Paducah, 2890 Broadway, Paducah, KY 42001. PADUCAH-Lorie Ann Bates-Adam, 58, of Paducah passed away on Saturday, April 13, 2019 at the Oakview Nursing Home in Calvert City. PADUCAH-'Jo' Betty Joretta Riley Ramage, 86, of Paducah, Kentucky, passed away at 10:26 a.m. on Sunday, April 14, 2019 at her residence. Jo is survived by her husband of 67 years Rubel Hayden Ramage; two daughters, Monica Clark and husband Terry of Paducah and Lenetta Carter of Paducah; a son, Mathew Wayne Ramage of Ledbetter; three grandchildren, Ashley Burton (Kent) of Lebanon Junction, Kentucky, Sarah Carter of Paducah and Jessica Braboy (Brandon) of Paducah; three great grandchildren, Ty Foster, Karson Burton and Allie Burton; and a sister, Jackie Doom of Burna, Kentucky. She was preceded in death by two sisters, Shirley Gass and Ann Wright; a brother, Vernon Edwin Riley Jr. Her parents were John Vernon 'Tom' Riley and Elizabeth McCandles Riley. Expressions of sympathy may take the form of contributions to, Alzheimer's Association Greater Kentucky Chapter 6100 Dutchmans Lane Suite 401 Louisville, KY 40205. PADUCAH-Dr. Robert B. Miller, 85, of Paducah, formerly of Murray, KY, passed away at 12:15 am on Thursday, April 11, 2019 at Baptist Health Paducah. Funeral services for Dr. Miller were on Tuesday, April 16, 2019 at Milner & Orr Funeral Home of Paducah with Rev. Lora Jean Gowan officiating. BARDWELL-Thelma Orene Shelbourne Powell, age 94, of Bardwell, passed away on Wednesday, April 10, 2019 at Mercy Health - Lourdes Hospital in Paducah. Funeral services were on Tuesday, April 16, 2019 at Milner & Orr Funeral Home of Bardwell with Rev. Rodney Bice and Rev. Brent Kimbler officiating. CUNNINGHAM-Evelyn Jean Thomas, age 90, of Cunningham passed away Thursday, April 11, 2019 at Countryside Health Care in Bardwell. Funeral services for Evelyn Thomas were on April 14, 2019 at Milner & Orr Funeral Home of Bardwell with Rev. Glenn Cope officiating and burial in Old Bardwell Cemetery. DRESDEN-Norma Jean Wheeler, age 79 of Dresden, Tennessee, previously of Clinton, Kentucky, passed away on Wednesday, April 10, 2019 at Baptist Memorial Hospital in Memphis, Tennessee. Funeral services were held on Saturday, April 13, 2019 at Milner & Orr Funeral Home of Arlington. PADUCAH-James "Jim" Sanders, 91, of Paducah, Kentucky passed away at 7:00 p.m. Tuesday, April 9, 2019 at Southgate Nursing and Rehabilitation Center in Metropolis, Illinois. Jim was born in Humboldt, Tennessee. He was retired Manager for Commercial Credit. Jim was a member of Lone Oak First Baptist Church. He received his Bachelors Degree in Business from Murray State University. Jim served in the United States Army during World War II and was stationed in the Philippines. Funeral services were held on Friday, April 12, 2019 at Milner & Orr Funeral Home of Paducah with Dr. Dan Summerlin and Rev. Jeff Wallace officiating. METROPOLIS-Chrysta L Fulkerson 62, died on Saturday April 6 at her home in Metropolis, Ill.
PADUCAH-Ida Troup, 79, of Paducah died Friday, April 5, 2019 at Ray and Kay Eckstein Hospice center in Paducah. Surviving are a brother, Jim Troup of Paducah and a sister, Jo Ann Hayden of Paducah. She was preceded in death by a brother, Billy Troup; and her parents, James and Dorothy Troup. Funeral service were Wednesday, April 10, 2019 at Lindsey Funeral Home with the Rev. Steve Groham officaiting. Burial will follow at Maplelawn Cemetery. CALVERT CITY-Joe Hoover died early on Friday April 5th,2019 at Oakview Care Center in Calvert City Ky.
Mr. Hoover was a river pilot by profession and U. S. Army veteran. He is survived by his daughter Donna Walston and her husband of Benton, Ky as well as 4 grandchildren and 7great-grandchildren and several nieces and nephews. He was preceded by his parents George O Hoover and Kizzy M Graves (Shaw) 1 child Joe Hoover Jr as well as 4 brothers. Services will be held at a later date. ARLINGTON-Dora Jean McGary, 91, of Arlington passed away on Friday, April 5, 2019 at her residence. Memorial services were on Saturday, April 20, 2019 at The Joy Center in Arlington. PADUCAH-Rita Kay Crenshaw, age 69, of Paducah, KY passed away on Monday, April 08, 2019 at Parkview Nursing and Rehabilitation Center. Funeral services were on Thursday, April 11, 2019 at Milner & Orr Funeral Home of Paducah with Rev. Nathan Joyce and Rev. Don Young officiating. BARDWELL-Reta Tackett, age 105, passed away at Countryside Center in Bardwell on Monday, April 8, 2019. Ms. Reta was born in North Sydney, Nova Scotia, Canada on August 27, 1913 to Edward and Jane Lush Coleman. She is survived by her daughter, Marilyn Bennett (Paul) of Stittsville, Ontario Canada; nephews, Bob and Wilbur Tackett; nieces, Sue Nan Hartley and Jane Lester; and many extended family members of the Coleman and Tackett families. Funeral services was on Friday, April 12, 2019 at 1:00 p.m. with Rev. Jonathan Althoff officiating. PADUCAH-James K. (Jim) Duncan, 92, of Paducah, Kentucky, passed away at 2:45 p.m. on Sunday, April 7, 2019 at Baptist Health Paducah. Jim was born on October 22, 1926 in Lyon County, Kentucky. He was a U.S. Navy WWII veteran. Jim retired from the Paducah Sun Newspaper after 38 years of service. He was a member of Reidland Baptist Church for 56 years and voted Deacon Emeritus in recent years. He was also a former member of Reidland Lions Club. Jim enjoyed hunting, fishing, boating, water sports, motorcycles and all outdoor activities. Jim is survived by a son, Kenny Duncan and wife, Cathy of Paducah; two daughters, Vicki Bryan and husband, Brad of Paducah and Cindy Rushing and husband, Billy of Paducah; three grandchildren, Amy Knees (Justyn), Clay Duncan and Abby Thomas (Kyle) all of Paducah; one great-grandson, Camden Thomas of Paducah; one sister, Lenora Brown of Paducah; and friend, Phillis Daisy Wagner of Paducah. He was preceded in death by his wife of 63 years, Zelma Mohler Duncan; a granddaughter, Christina Rushing; one brother, Thuston Duncan; one half brother, Marvin S.T. Duncan; one sister, Dora Gray; two half sisters, Charlene Dycus and Lucille Talbert. His parents were Samuel Thuston Duncan and Rosa Kuhn Duncan. Funeral services were on Friday, April 12, 2019 at Milner & Orr Funeral Home of Paducah with Rev. Rob Ison officiating. CALVERT CITY-Martha Faye Hassell, 76, of Calvert City, Kentucky passed away at 11:25 p.m. Friday, April 5, 2019 at Parkview Nursing and Rehabilitation Center of Paducah. She is survived by her husband, John Paul Hassell; three daughters, Ronnica Smith of Mayfield, KY, Debra Beyer of Boaz, Ky and Jennifer Ringstaff of Louisville, KY; two sons, John Phillip Hassell of Possum Trot, KY and Perry Neal Hassell of Ft. Worth, TX; sister, Joanne Adams of Monteo, NC; brother, Dalton Wyatt of Cape Girdeau, MO; six grandchildren and four great grandchildren. She was preceded in death by a brother, Charles Wyatt. Her parents were Clifton E. Wyatt and Lou Eva Holshouser Wyatt Ayers. Funeral services were Wednesday, April 10, 2019 at the Lone Oak Chapel of Milner & Orr Funeral Home with Rev. Doug Sanders and Rev. Jack Kee officiating. Entombment will follow at Woodlawn Memorial Gardens. BOAZ-Delores Venters Collier, age 73, of Boaz, KY passed away at 12:02 p.m. Friday, April 5, 2019 at the Ray & Kay Eckstein Hospice Care Center. Survivors include one daughter, Penny Racine Arant, Hardmoney, KY; two sons, Joseph Keith (Julie) Collier of Diamond, MO and Jeff Collier of Hardmoney; two sisters, Betty Jean Hobbs of Paducah and Judy Brookshire (Clyde) Mott, Boaz, KY; five grandchildren, James Collier, Dustin Arant and Jon Arant, Blaze M and Tiarra A.; two step-grandsons, Justin Patterson and John Stephenson; three great-grandchildren; several nieces and nephews. Preceding in death was her husband, Rudy Lee Collier; parents, Luther Venters & Thelma Brower Venters Baker; one sister, Pat Jones and two brothers, Jimmy Venters & Terry Baker. Services were Monday, April 8, 2019 at the Lone Oak chapel of Milner & Orr Funeral Home with Revs. Jim Glover and Clyde Mott officiating. PADUCAH-Rex Story, age 81, of Paducah, Ky and formerly of Mayfield, KY passed away at 2:30 a.m. Thursday, April 4, 2019 at his home. Survivors include his wife of 43 years, Glenda Grubbs Story; two daughters, Lori (Tim) Thorpe of Eddyville, KY and Lisa Story of Flint, TX; three sons, Rex Daniel "Danny" Story II of Paducah, Kip (Peggy) Denkins of Lone Oak, and Jarret Denkins of Kevil; two sisters, Carolyn (John) Domke of Mayfield, Ky and Barbara (Bill) Crowell of Humble, TX; eleven grandchildren, Daniel Story, Tyson (Melody) Morris, Tiffany Morris, Chandra (Justin) Morris, Ryan (Misty) Thorpe, Ashley (Nathan) Herron, Brooklyne Watson, Whitney (Thomas) Ward, Rachel Denkins, Logan Denkins and Will Denkins, eleven great-grand children; several nieces and nephews. Preceding in death were his parents, J.B. (Jack) Story & Mary Lee Pittman Story. Services were April 8, 2019 with Rev. Joe Grubbs officiating. Burial will follow at Brookhill Cemetery. BARDWELL-Sue Stevens Clark, 86, of Bardwell, passed away on Thursday, April 4, 2019, at Baptist Health Paducah. Sue is survived by her loving husband of 70 years, Dennis Smith Clark; two daughters, Denise DeJarnatt and husband, Larry, of Bardwell, Melissa Green and husband, Bobby, of Bardwell; seven grandchildren, Kim Todd (Mike) of Bardwell, Klint DeJarnatt of Cunningham, Steven Green of Paducah, Joshua Green (Jenny) of Chattanooga, Tennessee, Matthew Clark (Shelly) of Tucson, Arizona, Eric Clark of Tucson, Arizona, Melissa Clark of Tucson, Arizona; seven great-grandchildren and one great-great-grandchild. She was preceded in death by one son, Phillip D. Clark; three sisters, one brother, and her parents. Funeral services were April 6, 2019 at Milner & Orr Funeral Home of Bardwell with Bro. Rodney Bice officiating. Burial will follow the service at Zoar Cemetery.